Discovering Magenta is a new psychological musical that explores how to find happiness amidst tragedy. Henry, a mental health worker, struggles to help Katrina cope with a past that is threatening to destroy her present. But he must also wrestle with his own emotional issues. Henry and Katrina both are searching for the specks of goodness hidden in life -- as they try to discover magenta. 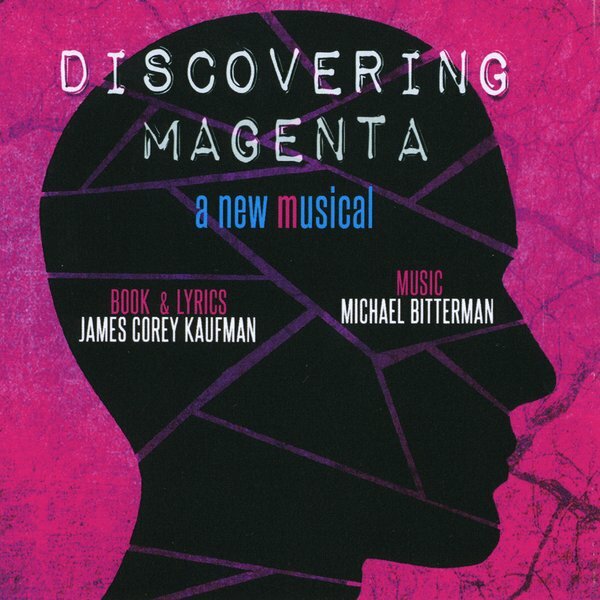 "This is a new recording of a grand musical by James Corey Kaufman and Michael Bitterman. The show focuses on the relationship that develops between a health care worker and one of his patients, a woman whom he wakes from a catatonic state." The Original Cast CD has been released!! ​DISCOVERING MAGENTA AT THE THESPIS FESTIVAL!! Check out author and lyricist James C. Kaufman's blog post on PsychologyToday.com! Our casting call is out!! Performances: Sept 1, 5th and 6th at the Hudson Guild Theatre, NY. Henry: An everyman still working on finding his path in life. Earnest, well-meaning. Must get audience to identify with him and root for him. Strong tenor. Katrina: Someone with a strong core who has been beaten down by life circumstances. Strong, powerful Belt voice and presence. Cole: Charismatic, sincere, magnetic. Audience must be drawn to him and compelled. Is he all that he seems? What’s going on below the surface? Tenor. Eliot: The comedian. Doesn’t take too much seriously, but genuinely values Henry’s friendship. Must be truly funny. Tenor. Rose: Exotic, attractive, a mystery – and perhaps crazy. We don’t know what’s going on in her mind at any particular time. She must deliver subtext/character development not necessarily on the page. Belt. Rachel: A nurse, easy-going, pleasant without being incredibly invested in her patients. All characters are between mid 20's/mid 30's. Please prepare a one minute monologue and 16 bars of 2 songs to show your voice, range-Ballad and mid-up tempo song Musical Theatre/Pop style-no rock. A pianist will be available. We have a director and music director for the Thesis Production! Discovering Magenta has been selected for the 2015 Thespis Theatre Festival at the Hudson Guild Theatre in New York Sept 1, 5th & 6th!